During the Petersfield Museum’s closed period last winter I was asked if I’d be interested in researching material for the planned commemoration of the end of the First World War. My starting point was the existing Roll of Honour and I began working my way through, plotting last known addresses and adding information that was available online. I was able to contact several family members via the internet, all of whom proved extremely willing to let us use photographs and add to what we already knew about certain individuals. 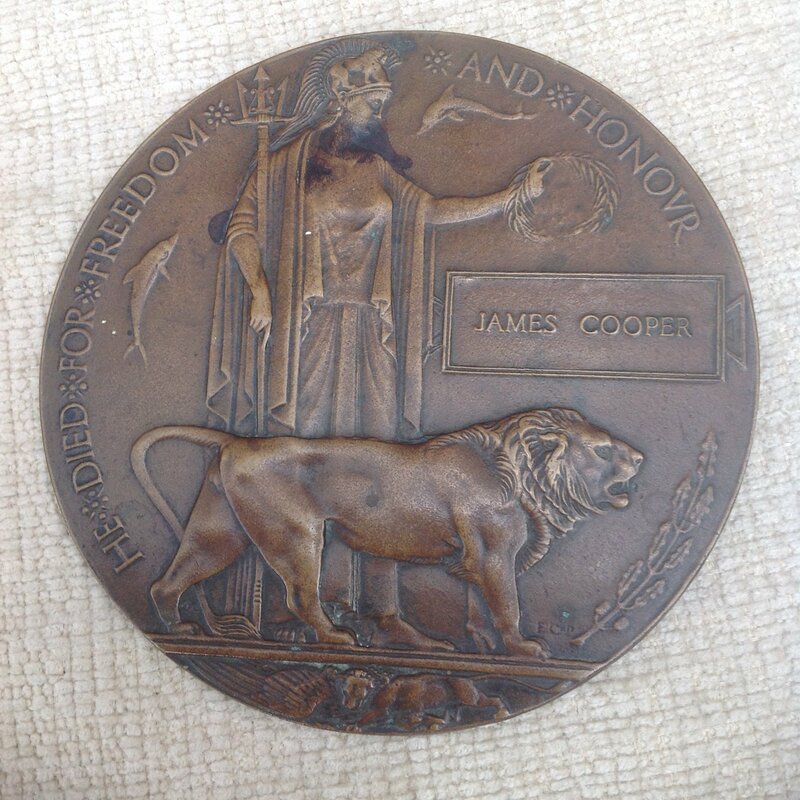 It was a real honour and a privilege to do this work and I’m so thankfully James Cooper was remembered in St Peter’s Church bell ringers’ tribute and nightly readings, in the Royal British Legion remembrance booklet, and most importantly at the Cenotaph on Remembrance Day 2018. As as a result of an article in the Petersfield Post I received a call from none other than James’ great-niece Diane. She was in possession of his death penny and had kept it safe, bringing it out every year on November 11th. She knew nothing about her grandfather Mitchell’s brother except that he was a musician in the army. By coincidence she had decided to do an online search late on the 11th after attending a military concert, and up popped all the details. We’ve since met and she has offered to donate the ‘penny’ to the museum. 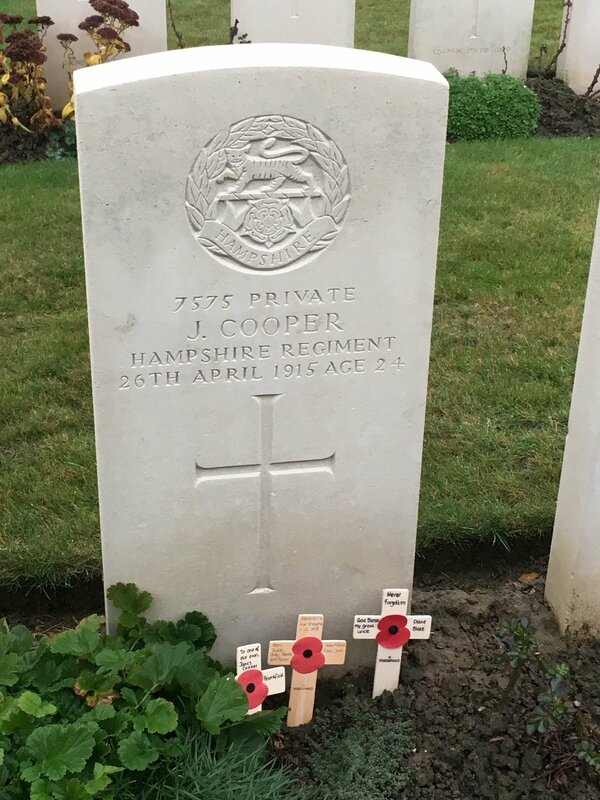 I was in Ypres with my choir at the end of November and was able to visit Private Cooper’s grave and take crosses on behalf of Diane, and the people of his home town, many of whom were moved to hear his story told by the vicar during his Remembrance Day address in the town square.